Will Max Kepler Take the Next Step in 2018? Max Kepler would be the most exciting young player on a lot of other teams, but in terms of up and coming Twins, he was somewhat left behind in 2017. It was a great bounce-back season for the team, but for the most part Kepler stayed stagnant. What’s been holding him back? Over the 2016 and ‘17 seasons, Kepler had just a .269 batting average on balls in play. That’s seriously suppressed his offensive output. It’s the ninth-worst BABIP among 131 qualified hitters over that stretch. The FanGraphs glossary entry on BABIP is a great resource, and points out two things that would suggest there are reasons to be optimistic about Max turning things around. The average BABIP for hitters is around .300, and you need about 800 balls in play before a hitter’s BABIP stabilizes. Max is approaching that mark, but according to Baseball Savant he’s put 668 balls in play as a big leaguer. A lot of people associate a a low BABIP with bad luck, but I’m not one to automatically make that assumption. There can be concrete reasons behind why a player struggles to post a respectable BABIP. For example, anyone who consistently makes weak contact or doesn’t run well. But does that describe Max? In that same two-year stretch, Kepler had an average exit velocity of 88.7 mph. That’s solid, ranking 121st out of a sample of 355 hitters (top 34.1 percent). So it's not like he's just making a bunch of weak contact. Kepler spent a lot of his time in the minors in center field, but is he really that athletic? Statcast’s sprint speed data would certainly suggest so. Kepler had an average sprint speed of 28.2 mph in 2017, which ranks 63rd among the 333 players who had a minimum of 25 opportunities to be tracked for that metric (top 18.9 percent). Over the 2016 and ‘17 seasons, Kepler’s average launch angle was just 10.7 degrees. That ranked 201st out of the 335 hitters who had a minimum of 250 balls in play (in the bottom 40 percent). The good news is that rate has been on the rise. In 2016, Kepler’s average launch angle of 8.3 degrees was worse than 78.2 percent of hitters. He jumped up to 12.7 degrees last season, which only trailed 43 percent of hitters. Basically, he went from terribly below average to slightly above average in that metric. Despite that improvement, Kepler’s overall numbers stayed pretty much the same. What gives? I do think Max may have been a bit unlucky in 2017, but one thing that didn’t help him was an infield fly ball rate that jumped from eight percent to 11.5. What About Those Platoon Issues? There’s no denying Kepler’s performance against lefties is a concern. Over his career with the Twins, he’s hit just .176/.242/.279 (.520) against port-siders. Something to keep in mind is he’s only had 271 plate appearances against southpaws. In his last full minor league season, Max hit .319/.390/.473 (.863) against lefties. Yes, hitting Southern League pitching is a whole lot different than major league pitching, but it's still pretty early to cast a final judgement on his ability to hit same-sided pitching. Put it all together, and I see a guy who’s on the verge of a breakout. What do you think? Am I just seeing something I hope is there? 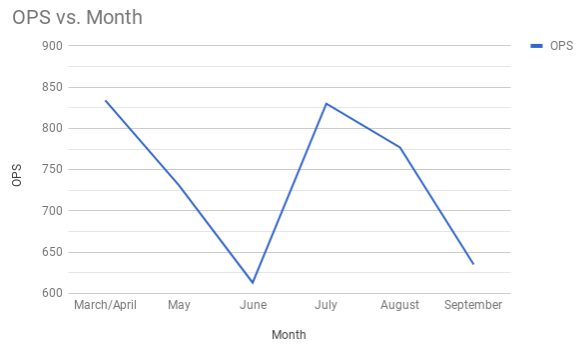 Or is a Max Kepler breakout inevitable? It wasn't only two seasons ago when Max Kepler was featured on the cover of the Minnesota Twins Prospect Handbook. To read more about players like Kepler still in the Twins farm system, pick up a copy of the 2018 Minnesota Twins Prospect Handbook. Kepler’s stats look pretty comparable to Justin Morneau at the same age. I wouldn’t give up on him yet. I seriously hope a Kepler breakout is next on the to-do list. Assuming sustained performances from Rosie and Buck, if Kepler piles on, I'd consider placing money on them in Vegas as the best outfield in the league combining both offensive and defensive metrics. I would bet on Kepler will take a step forward. His BABIP will be better. He will improve against lefties though increased opportunities will be a drag on his overall numbers. I think we will see more power against right handed pitching. You are spot on that Kepler is on the verge of a breakthrough. The Twins need to take the same approach they took with Buxton in 2017 - play Max every day and let him work it out and get the needed experience - including against left handed pitching. Let's not forget that he not only had to initially adjust to a different level of ball when he first signed on, but that he practically skipped AAA. He oozes athletic talent, and even against LH pitching, you can see the quick hands and smooth stroke. How well he ends up hitting lefties I do not know, but I believe you will see some real improvement this season. In fact, Kepler is my pick for a breakout season in another thread. You have to factor in the "Sophomore Slump". It is so prevalent among second year players that it is almost expected and even has a name. What other year in a player's career has a negative nickname? There must be a reason for it. Well it is over for Kepler and now he will have the "Junior Jump"! We'll see. He is *so bad* v. lefties, it has to get better. If he can maintain the other parts of his game and figure out how to do something against lefties (either hitting for power, average, or both), he'll be fine. I'm betting Mauer would be a great asset to help Kepler figure this out, if anyone important is reading this. Kepler seem to be working on pulling the ball and hitting for power last year.This year i hope he becomes more confident hitting the ball the other way.With time he should learn to lift the ball.So, he could continue to be a pull hitter and go the way of Kubel or he could go the way of Morneau and go the other way every now and then.He might just become a combo of both. Inching toward being good. Is at this time solid. Sometimes it feels like he is trying to do to much like a lot of young players. The more AB's he gets the more comfortable he will be. I would look for him to hit 20 HR with 15 SB and a 275 ave. Again very solid. Good defense and still huge upside. As far as the launch angle stuff I always laugh a bit as an old school guy.... Launch angle increases and his popup rate increase and folks are concerned? Um that would be logical scientifically! Some of the sabre metrics are interesting some are just silly. Those four other guys are putting the ball in the air a ton more often than Max, and yet most of them hit half as many infield flies as Kepler. That's illogical, but it's a fact. He also has a chance to flop - this is a really important year and if he makes the transitions that are required he can be an above average OF and that would be great. I remain cautiously optimistic. If things DON’T work out, plan B might be platooning with Garver (who would play left field). Plan C might be Granite or Wade - maybe a true lead off hitter? Then Kirilloff and or Rooker in 2020. Good thing Kepler doesn’t read this article. Or it would be like the famous golf professional Bob Tosk once said, “Paralysis because of over Analysis”. I'd agree that over thinking things during game situations is usually a very bad thing for a baseball player. But I sure hope Max is thinking about this kind of stuff and putting in work to make adjustments in the offseason so things come naturally once it's game time. The guys who've invested a lot of thought into this kind of stuff and revolutionized the way they think about hitting are making loads of money right now. Justin Turner was waived, non-tendered and barely hanging on. Thanks in large part to an overhaul in his approach, he signed a $64 million deal last offseason. J.D. Martinez was released by the Astros at one point, now he's the biggest bat on the free agent market. If I was Max Kepler, that kind of stuff would certainly catch my attention. I agree that is important but a good teacher presents things in such a manner that it doesn’t overload the brain. Sure Martinez and Turner improved by applying these metrics but, I think, the vast majority of good hitters developled these techniques at a young age without even realizing it. And a lot of the overload stuff depends on the person themselve. For every Turner you have a Yogi Berra, who said, “you can hit and think at the same time”. Also, another great way to learn hitting is like the kid we signed from the Pittsburg area a few years ago whose dad had a hitting academy. He probably was in the cage everyday hitting and learning without any pressure. But not too many have that opportunity. But your right that analytics play a role......I’m just saying that not everybody is the same in learning. Ted Williams was very technical....probably one of the first...then you have a Mickey Mantle who was the ultimate natural. Interesting Discussion! Rosario put up a 120 OPS+ last year and I think Kepler can probably pull that off this year but I think his will be based on higher OBP and lower slg. He should become a good player for us and a solid piece in the bottom half of the order. Great analysis! It seems that there is a good chance the BABIP was low due to luck. I wonder if the infield fly rate could also be partly due to him making an adjustment and learning to change his launch angle, which could pay off in 2018. I’ve always felt like he would begin to hit lefties, mostly because he did it in the minors (at least the last season in AA). This analysis gives me even more hope he is going to take it to another level this year. I think the first sentence of the article nails it.Kepler is on a team with a lot of exciting young players. He also has a mild manner, so he's doesn't stick out otherwise. His numbers look like a good young player adjusting to the big league game. His MiLB BABIPs were much higher, so expect that to even out with some better luck and as he becomes more of a steady pro. From the interviews that I've heard with him, he appears to have good make-up and seems to be someone that would be open to critique and making adjustments to improve his game. I wouldn't be surprised with numbers like what Marty Cordova put up when he won ROY. I hope Max Kepler is a Twin for a long time. Not sure this is illogical at all. IFFs count into launch angle, and inflate it. He's popping up a lot and by proxy likely hitting into the ground a lot too. Tells me his contact isn't where it needs to be, and the low BABIP supports that. I don't think that means the end for Kepler, but it certainly says he has things to work on. Hopefully it's just a seasoning thing. I would definitely play him more against lefties, let him get the reps.With his swing there is no way he shouldn't hit them better.I often wondered if maybe it would help if he closed his stance a little more against lefties.Maybe that would help him hang in there a little better rather than flying open-just a guess-not an expert in mechanics by any means. Interesting analysis and good background on BABIP, but Kepler isn't going to be more than a platoon player until he learns how to hit lefties, and it's going to be harder for him to do that this year. The more the Twins are in contention, the less able they'll be to throw away plate appearances for Kepler's development. This is a really nice breakdown, Tom.I don't know the answer, but you gave me a lot to think about. I've gathered from this site that the new hitting coach's philosophy might be consistent with this. Tweak, don't change. It’s ok to admit to players’ weaknesses and make simple and affordable roster adjustments. Granite is expendable and lefty mashers aren’t that hard to find. Kepler needs at bats to get better. This is the year for that to happen. But he can't improve against left handed pitchers, if he isn't given the opportunity. 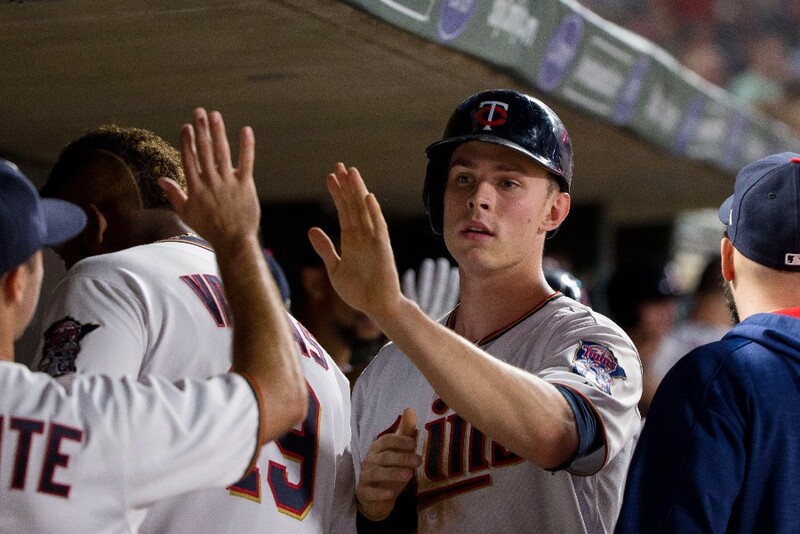 → Article: Will Max Kepler Take the Next Step in 2018?